Carlsbad - "The Village by the Sea"
Located along the north coast of San Diego County, Carlsbad is one of Southern California's most popular family vacation destinations. The town was originally named after Karlsbad in the Czech Republic, a spa town renowned for the curative powers of its thermal springs. In the 18th and 19th centuries, Czech’s Karlsbad became the favorite recuperative resort of royalty, the uppers class and the great artists of the times. In the 1880’s, the water found in a well in California’s Carlsbad town was discovered to have very similar therapeutic and mineral properties to the springs in Karlsbad. 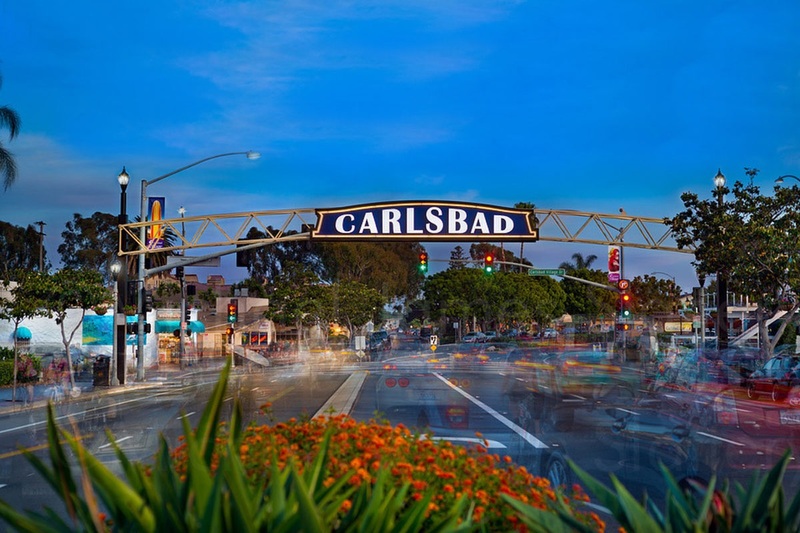 Hence the town was named Carlsbad, and much later, in 1991, the towns became sister cities. Continuing the proud tradition for which the city was named, Carlsbad is home to two world class spa resorts, Four Seasons Resort at Aviara and La Costa Resort & Spa. Carlsbad provides a broad selection of accommodations, activities, shopping and dining experiences. In addition to the two spas, some of the attractions include Legoland, the Museum of Making Music, Gemological Institute of America (GIA) Museum, and the famous flower fields where 50 acres of vibrantly colored ranunculus flowers lie in striped swaths covering a hillside overlooking the Pacific Ocean. Carlsbad is also home to three lagoons – Buena Vista at the northern boundary with Oceanside, Batiquitos at the southern boundary with Encinitas, and Agua Hediona in the middle. Incorporated 1952, this popular holiday destination covers over 40 sq miles along 7 miles of prime coastline, and is home to over a population of over 100,000. If you like this information, please like the Geller-Meier Team Facebook Page!